STATEHOOD:In 1803, the United States purchased a large tract of land from France, the Louisiana Purchase. The eastern part of what was to become Colorado was included in this purchase. In 1806, President Jefferson sent Lieutenant Zebulon Pike to explore part of the new land acquisition. It was on this trip that the Pike expedition reported a 14,110-foot peak that would later be used to draw people to Colorado by the thousands. Today, that mountain is called Pikes Peak. Over the next 50 years, Colorado was visited by explorers, adventurers, trappers, hunters, and traders. The first major settlements by U.S. citizens in the area began when gold was discovered at the mouth of Dry Creek (Englewood). It's estimated that this discovery led to the migration of around 50,000 people to Colorado between 1858 and 1859 represented by the slogan, "Pikes Peak or Bust!" 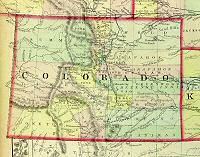 The United States Congress passed a bill to create the Colorado Territory in 1861. Over the years, many attempts were made by Coloradans to attain statehood. Finally, 14 years after achieving territory status and after two vetoes of the 1864 State Enabling Act by President Andrew Johnson, House Bill 435 passed through the U.S. Congress and was signed by President Grant on March 3, 1875. Later that year, in October, the citizens of Colorado elected a Constitutional Convention. The convention was held on December 20, 1875 at the Odd Fellow Hall in Denver. It took 87 days to draft a final version of the Colorado Constitution. On March 14, 1876, it was completed and signed. On July 1, 1876, the Constitution was approved in a statewide vote (15,443 to 4,072) by the people of Colorado. On July 25, 1876, the official Colorado Constitution was taken to Washington D.C. Colorado was inducted into the Union on August 1, 1876 by proclamation of President Ulysses S. Grant. STATE CONSTITUTION:A constitution sets out the rules by which we play the game of government. Like the rules for any other game, it limits the moves available to players. It describes how the various players interact with each other, and who has more power in various situations. PREAMBLE:We, the people of Colorado, with profound reverence for the Supreme Ruler of the Universe, in order to form a more independent and perfect government; establish justice; insure tranquility; provide for the common defense; promote the general welfare and secure the blessings of liberty to ourselves and our posterity, do ordain and establish this constitution for the "State of Colorado". STATE MOTTO:After the United States Congress passed a bill making Colorado a territory in 1861, it was important that a unique seal be designed to represent the territory on all official documents. Territorial Governor William Gilpin entrusted the design of the new seal to the Secretary of the Territory, L. C. Weld instructing Weld to return to him with a rough draft. Governor Gilpin seems to have approved the design that Weld brought to him but thought that a suitable motto should also be incorporated. The story goes that Weld responded to Governor Gilpin, "Well, Governor, what would you suggest?" Governor Gilpin is said to have paused in thought for a moment and then responded "Nil Sine Numine." On November 6, 1861, by Joint Resolution, the Territorial Legislature adopted the Territorial seal and with it, the motto, Nil Sine Numine. The Latin phrase, Nil Sine Numine, appears to be an adaption from Virgil's Aeneid where in Book II, line 777 the words ".....non haec sine numine devûm Eveniunt." are found. Though sometimes translated as "Nothing without providence" or "Nothing without God," the intended translation, "Nothing without the Deity," is found in a committee report regarding the Joint Resolution of November 6, 1861. STATE GOVERNMENT:As in the case of the federal government, Colorado's state government is organized into three branches - legislative, executive, and judicial. The state government is a product of three documents: the United States Constitution, the Colorado State Constitution, and laws of the state. The governor heads the executive branch. The governor is elected by a statewide vote for a four-year term. He acts as chief administrator responsible for carrying out state laws and administering the executive budget. The citizens of Colorado elect four other positions in the executive branch as well. They are the lieutenant governor, the secretary of state, the state treasurer and the attorney general. The lieutenant governor acts as chief executive when the governor is absent. Colorado's legislative body is known as the General Assembly and consists of a 65-member House of Representatives and a 35-member Senate. The Colorado court system consists of state supreme court, a state court of appeals, and 63 county and municipal courts. The city and county of Denver has special probate and juvenile courts, along with a separate superior court. John Hickenlooper was sworn in as governor of Colorado on January 11, 2011. John moved to Colorado in 1981, after earning a master's in Geology at Wesleyan University, and found work with Buckhorn Petroleum. With the collapse of the oil industry in the 1980s, John was laid-off, providing him with the opportunity to tap his entrepreneurial skills. When he opened the Wynkoop Brewing Co. in 1988, the Lower Downtown section of Denver was a rough neighborhood. To the surprise of his business partners, John made a point of advertising near-by restaurants in his brewpub. Though his friends told him he was nuts, John understood that the real competition was television: if they could create an attractive atmosphere that would pull people off their couches, every restaurant in the area would benefit. His efforts helped revitalize the area and turned "LoDo" into the dynamic, bustling community it is today. As Denver began the construction of its new football stadium, John got involved in the negotiations, ensuring that the new stadium stay true to its original name, the famed Mile High Stadium. Ever the believer in good marketing, John was concerned that the city was about to lose its one landmark with "Mile High" in its title. His work helped create the first brokered naming deal in the nation, for what is now Invesco Field at Mile High Stadium. John's leadership on the deal and his connection to the community got his friends talking about a run for mayor. In 2003, without ever having run for public office, John entered the race for mayor. Despite opposition from seasoned political veterans, he captured the attention of voters with his outsiders' perspective and business prowess, and he won by a landslide 2-to-1 margin. As mayor, John consistently honed a creative, innovative and efficient edge to government. He overhauled the city's financial system, created the city's first chief financial officer and streamlined many City services. In 2005, John introduced GreenPrint Denver, a plan to improve Denver's urban environment by increasing efficiency and decreasing greenhouse gas emissions, promoting "green" urban design, and implementing an aggressive waste reduction campaign. In 2008, John successfully marketed Denver's long-shot bid for the 2008 Democratic National Convention. John's most ambitious campaign, his mission to reduce homelessness in Denver, saw great success. Denver's Road Home provides employment assistance and housing for the homeless. The success of this program become a model for other cities, illustrating how they can combat homelessness within the inner city. John ran for Governor of Colorado on a jobs creation and economic development platform. In using his experience as a jobs creator and consensus builder in government, he wants to increase opportunity for the people of Colorado. The cornerstone for the building was set on July 4, 1890. The building was completed in 1908. The Cornerstone weighs twenty tons and it took twenty mules to haul it. The capitol building sits one mile (5,280 feet) above sea level. The materials used in construction of the building all came from Colorado except the brass and oak trimmings. Granite came from Gunnison. The wainscoting and pillar facings are of Colorado Onyx, a material unique only to the Colorado Capitol. When this rare stone's supply was exhausted the basement was finished in white marble. The foundations and walls are Fort Collins Sandstone. The Gold Dome was created using 200 ounces of pure gold leaf. The 122 columns are of cast iron and on average weigh 1.7 tons each. The Capitol used 5,482,114 bricks. STATE REPRESENTATION:The Colorado General Assembly is composed of two bodies like the United States Congress, the House of Representatives and the Senate. The General Assembly is responsible for making the laws in Colorado and for raising and distributing the money necessary to run the state government. STATE REPRESENTATIVES:Representatives in Colorado each represent people in a specific area of the state. These areas are called house districts. There are currently 65 men and women representing 65 house districts in the Colorado House of Representatives. 30 representatives are Republicans and 35 are Democrats. Each representative serves for a period of two years in the House of Representatives, after which he or she must run for re-election. STATE SENATORS:Senators in Colorado each represent people in a specific area of the state. These areas are called senate districts. There are currently 35 men and women representing 35 senate districts in the Colorado Senate. 17 representatives are Republicans and 18 are Democrats. Each senator serves for a period of four years in the Senate, after which he or she must run for re-election. Elections are staggered so that approximately one-half of the Senate is elected every two years. LEGISLATIVE PROCESS:The legislative branch of government is responsible for making and maintaining laws within their jurisdiction. United States representatives and senators, federal legislators, are responsible for laws at the national level and state legislators are responsible for laws at the state level. A law begins as an idea that is introduced in the Colorado General Assembly as a bill by one or more legislators. The bill then goes through the legislative process to become a law. During this process the bill may be changed. Not all bills become law. CURRENT LEGISLATION:When the legislature is meeting, it is said to be "in session." 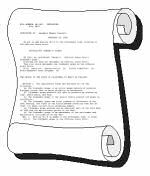 The following link will allow you to look at bills that are currently going through the legislative process. 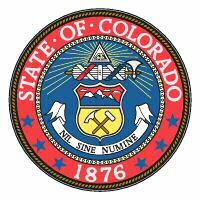 STATUTES:The following link will allow you to look at Colorado's current laws. COUNTIES:The United States Constitution does not define local government. Instead, this function is left up to the states. Counties are a local unit of government within a state. All but two of the states are divided into counties. Alaska is divided into boroughs and census districts and Louisiana is divided into parishes. Governing responsibilities are similar to counties. Traditionally, counties performed tasks mandated by the state, such as property assessment, property and vital statistic record keeping, maintenance of rural roads, administration of local election and judicial functions, and support of the poor. Today, counties may be responsible for these functions, more or less, but the responsibilities of county governments vary from state to state. Colorado is divided into 61 governing districts called counties. At 4,773 square miles, Las Animas County is the largest county in Colorado. The smallest county is Broomfield County, created in 2001 with an area of only 34 square miles. The most populated county is Denver County. 554,636 people live in Denver County. The least populated county is San Juan County. Only 558 people live in San Juan County. U.S. CONGRESSIONAL DELEGATION: The legislative branch of the United States government makes laws for our nation and raises and distributes money to run the United States government. The most evident part of the legislative branch is the United States Congress. Congress is divided into two parts, called houses. The two parts are the Senate and the House of Representatives. Congress is referred to as a bicameral body because it is made up of two houses. The Latin roots of the word bicameral, "bi" and "cameral," mean two chambers or rooms. Members of the Senate are called Senators and members of the House of Representatives are called Representatives. Senators and representatives serving in these two bodies are sometimes referred to as congressmen, or women, and sometimes as legislators because their business is to legislate or make laws. The role of the legislative branch is defined in the United States Constitution. 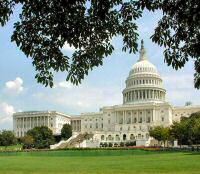 Each state elects people to represent them in the United States Congress in Washington, DC. The citizens of each state elect two senators to represent them in the Senate. They also elect representatives to represent them in the House of Representatives. The number of representatives each state sends to the House of Representatives is not a specific number like the Senate, but is based on the population of the state. The people, that are elected to represent the state's citizens in the United States Congress, are referred to as the congressional delegation. There are 100 senators in the U.S. Senate. Each is elected to a term, in the Senate, of six years. There are 435 representatives in the U.S. House of Representatives. Each is elected to a term, in the "House," of two years. The citizens of Colorado elect two people, like every other state, to represent them in the Senate and seven people, based on Colorado's population, to represent them in the House of Representatives. broken links to us. We really appreciate it. Source:Official website. 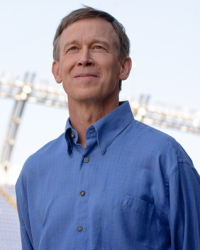 Governor John Hickenlooper <http://www.colorado.gov/cs/Satellite/GovHickenlooper/CBON/1249674240538> Accessed January 26, 2011. Source: National Governor's Association, (http://nga.org), Accessed January 27, 2011.